Binoy Job is a multi-faceted young world leader and an innovative educator par-excellence known for his ‘Life skills based education’ as he mentors more than 25,000 students every year (most of them from underprivileged background) in ‘LIFE SKILLS, LEADERSHIP TRAINING & VALUE EDUCATION’. Over the years he has transformed about a million ordinary youth into responsible citizens, role models and extra-ordinary leaders through his platforms such as ‘Leaders For Tomorrow Foundation, Igniting Young Minds’ etc. As a serial entrepreneur who has established more than a dozen organizations, Binoy is recognized as a ‘Institution builder’. Each of these charitable institutions focuses on youth, ICT and education. Binoy Job is a versatile young global leader with achievements in diverse leadership positions such as: 1. GOVERNMENT (Director, Prime Minister’s Office and Spokesperson to the Prime Minister, 2. MEDIA (Deputy Editor, NDTV), 3. ACADEMICS (Visiting Fellow, Melbourne University, Delhi University, LSE etc), 4. YOUTH & VOLUNTEERISM (Founder, Leaders For Tomorrow foundation), 5. EDUCATION (Founder, Igniting Young Minds), 6. ICT 4 DEVELOPMENT (Founder, Development Channel), 7. ENTREPRENEURSHIP (Serial Social innovator) and 8. PRIVATE SECTOR INDUSTRY (CEO & Secretary General, Confederation of Indian Textile Industry (CITI)(his current job). The fact that he earned and excelled in all the above positions even before he turned 40 makes him a multi-faceted achiever. Binoy Job is one of the 40 under 40 achievers recognized for the huge social impact he has made through policy and leadership initiatives. Educated in four continents, he is an alumna of Kennedy School of Government at Harvard University, London School of Economics, Melbourne University and Delhi University. For his contribution in bringing about social change and eradicating poverty using ICT, activism and public policy tools, he has been honored with the Young Global Leader award by the World Economic Forum, Emerging Leader Fellowship by Melbourne University and also chosen as one of Asia’s 21 Young Leaders by the Asia Society. Born as the 13th child of farmer parents, in a remote village in Kerala, Binoy started working while he was still in school due to financial constraints. Ever since, he has made it his mission to build institutions meant for education and empowerment using various tools. A young leader with high level of integrity, he is respected for his public service approach and development communication initiatives. Binoy Job was invited by the then Prime Minister, Dr. Manmohan Singh to advise him on Communication, Public Policy and Global Leadership. 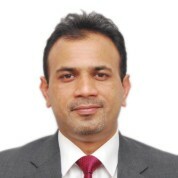 Binoy joined him as Director, Prime Minister’s Office in 2009 and continued till the end of Dr. Singh’s tenure in 2014. Binoy Job was instrumental in making many public policy legislations such as ‘Right to Education’- that made education a fundamental right to every child born in India. Throughout his diverse career, he continued to be a teacher / mentor and transformed the lives of more than a million youth. Teachers are the greatest catalysts of change in human life. A good teacher can turn an ordinary person into an extra-ordinary leader. They are the true heroes of human transformation but they hardly get their due recognition. Global Teachers Prize is an effort to recognize their contribution to society. I am part of the eminent jury headed by President Clinton to chose the winner of this million dollar prize. Please send your nominations at the earliest.